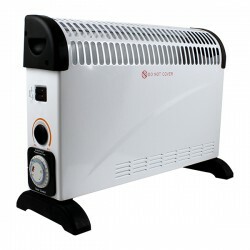 This winter, keep the cold out with the outstanding convector heaters available here at UK Electrical Supplies. These convenient units are ideal for heating domestic or commercial spaces, and with trusted brands like Hyco and Elnur, you know you’re getting quality. Our stock offers a wide range of features, including 24 hour timers, wall mounting brackets, and enclosed controls for greater child-safety. So, whether you want a warmer office or a more comfortable home, we have the right heater for you.